Superdry women’s Chevron faux fur Super Fuji jacket. 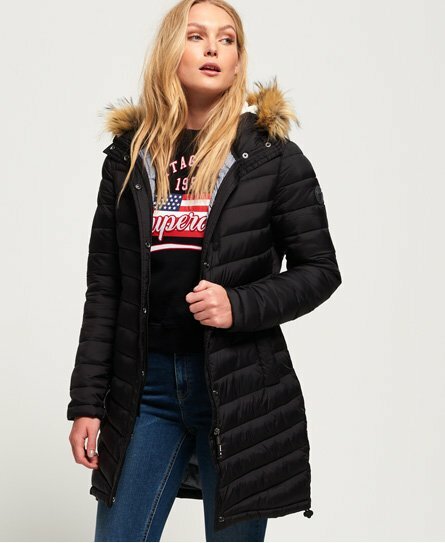 Stay warm this season in this quilted jacket, featuring a fleece lined hood with a removable faux fur trim, a front zip and popper fastening and three front pockets. The Chevron faux fur Super Fuji jacket also benefits from elasticated cuffs and a bungee cord adjustable hem, providing added comfort. The jacket is finished with a rubber Superdry logo badge on the arm.